Bring your bikes (and your kids trikes) to Memorial Park on May 28th for a celebration of cycling! We will be learning about bike safety, chalking up the street, bouncing in bounce houses, and giving away a Madsen bucket bike! Meet new family friends who share your love of cycling and start your weekend off with a celebration. When: Saturday, May 28th. 10 a.m.-12 p.m.
Why: The joy of biking! The Provo Bicycle Committee is pleased to announce the recipient of its fifth annual spring/summer Golden Spoke Award. The award is presented to someone who demonstrates a commitment to bicycling by doing something very logical—using a bicycle as an everyday tool to get around—to work, to school, to run errands, and perhaps for recreation. The award may also be presented to someone who has made a significant contribution to bicycling becoming more of a safe, pleasant, and common sense way to get around. It is called the Golden Spoke Award because each bicyclist and each bicycle advocate is like a spoke in a wheel that helps make Provo a more bicycle-friendly community and improves our collective quality of life. Each of us can advocate for bikes, more bike-friendly complete streets, bike lanes and trails, and most importantly each of us can bike wherever and whenever possible. Many of us take many trips that are about a mile or so, which can easily and pleasantly be completed on a bicycle. This year’s recipient of the Golden Spoke Award is Susan Krueger-Barber of Joaquin Neighborhood, and by extension the members of the Complete the Street group from Joaquin and Maeser that organized a fantastic street party last June as a way to help people reimagine 200 East as a Neighborhood Greenway, a public space that accommodates and is safe for people on foot and on bike, and not just for those in cars. The 200 East Neighborhood Greenway will run from 600 South, north past the downtown, and end at 800 North at BYU. It will serve as safe and pleasant route for people to move between these neighborhoods, the Frontrunner Station, the downtown area, and BYU. For example, there are many BYU employees who live north of Provo in northern Utah County and Salt Lake and regularly take Frontrunner to Provo but currently do not have a safe route to bicycle from the station to campus. For them, this Neighborhood Greenway is a dream come true. It will provide a safe route for them and others by discouraging through auto- traffic on 200 East, and give priority to bicyclists and pedestrian through traffic calming devices like bulb-outs, sharrows, and safe intersections, such as the one being built as part of the 300 South project. And on cold, wet days, these colleagues and other colleagues who are less enthusiastic about riding a bike look forward to having a frequent and quick transit option to get to and from campus with BRT in 2018. Susan and her Joaquin neighbors understood this vision and working closely with Community Development and Public Works made some temporary changes to the street to help folks imagine how much better it could be. Isn’t Susan’s enthusiasm infectious? She was the energy behind this project, and ably supported by Celeste Kennard, Sage Pearson, Chris Wiltsie, and dozens of others. Thanks to Mayor Curtis and members of the city council, including Chair Santiago for attending the party. We are planning to stage another act of city-sanctioned tactical urbanism on 500 North from Joaquin to Dixon in conjunction with Bike to School Week in September. We look forward to your support. My biggest takeaway from the bike summit was the need to make cycling culture inclusive. Bicycle enthusiasts should not self-identify as “cyclists.” We’re normal people just like everyone else, we just happen to use cycling as our form of transport because it makes sense. If we reach out and make it easier to do what we do, more people will cycle with us. Shane Marshall of UDOT spoke about the culture change within the state’s transportation department. The DOT is now trying to actually be a department of transportation rather than a department of roads. Every project at UDOT is now considering active transportation improvements. Carolos Braceras, Director of UDOT, is really leading out on this change. UDOT, however, is a mighty large ship and it will take some time to fully bring her about. Mr. Marshall held a lengthy Q&A session where he was very open about UDOT’s policies. Personally, I think it is important to stay involved and influence UDOT as much as possible as they control major corridors through our communities. At the same time, our local jurisdictions probably have way more corridor miles that cyclists and pedestrians will be using. Influencing our local elected officials to make active transportation a priority will probably due far more to advance the cause than banging constantly on UDOT’s door. Staff members from Salt Lake City’s transportation department discussed several projects that have been recently implemented in the City. Among the most notable were the 300 South protected bike lanes, 200 West protected bike lanes, and protected intersection at 200 West 300 South. Salt Lake has done a ton of public outreach on these projects and collected a lot of data before and after construction. I had the chance to ride small sections of these projects and they rock. Hopefully, all the strides SLC has been making in the active transportation arena won’t come to a shrieking halt with the new administration. If you haven’t ridden these protected routes, jump on Frontrunner with your bike and check ‘em out. 1) As a cyclist I realized the opportunity to take a cycle-cation, using my bike to travel around Utah and see some of the remote areas typically forgotten when using the freeways at 75 mph. These scenic locations are small towns with great personalities and lots to see and do. Cycle-cations can fit into any budget, either the shoe-string economy budget where you camp out in a local park with Top Ramen, to the credit card budget that includes a hotel room, hot shower, and going out to eat. I love to find little gems around Utah and biking through them would be an even bigger plus! 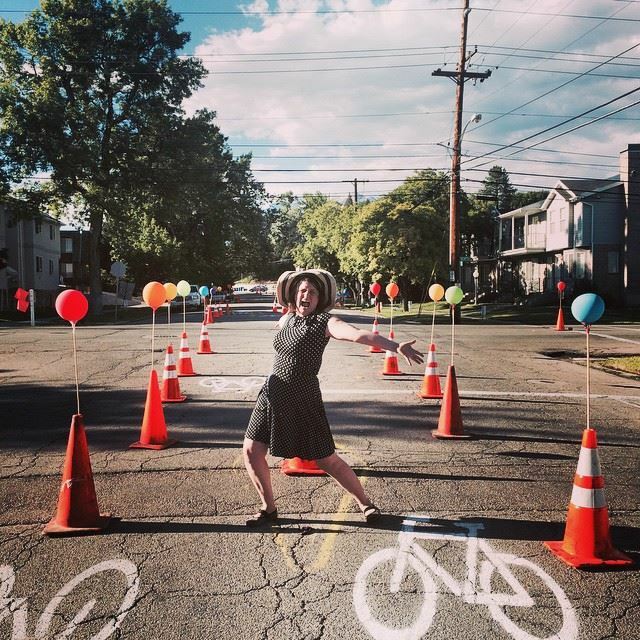 2) Provo has the potential to cater to touring bicyclists. We have all the amenities for all kinds of cyclists, including hotel rooms, camp grounds, restaurants, attractions, and a cycling culture. Provo can also be used as a hub for daily rides on a cycle-cation where visitorscan circle Utah Lake, climb Provo Canyon, or enjoy the Provo River Trail. We should work with the city and surrounding businesses to encourage cyclists to come visit Provo. We can utilize our Frontrunner station and invite everyone to come to the end of the line and go exploring! program, with grocery stores offering 10% off, restaurants offering free drinks, bicycle and other shops offering discounted services. We can capitalize on the bargain hunting nature of Utah County by promoting this program in our city which will encourage more bike riding in Provo. I know I would certainly ride my bike if it meant I got a discount! I appreciated the historical perspective that public health care expert Mathis took in his presentation. He argued that the United States puts far too much money into medical care rather than encouraging health lifestyles that would help prevent lifestyle diseases, like diabetes and heart disease. In 1900, the top three killers were communicable disease; now the top killers are chronic diseases that can be prevented through changes in lifestyle. Land use policies matter. Cities used form based zoning to separate residential areas from industrial areas. That was good in 1900, but is not good now. There is no reason for offices, stores to be entirely separated from residential areas. One of the legacies of such policies is that it has contributed to sprawl. Utah ranks second in the country in its rate of urban sprawl in the last ten years. It is much for effective to address these challenges by creating organic opportunities that are built in people’s lives, like walking and bicycling to work, for people to be physically active rather than engineered exercise like a gym membership that people have to plan for and schedule into their lives. 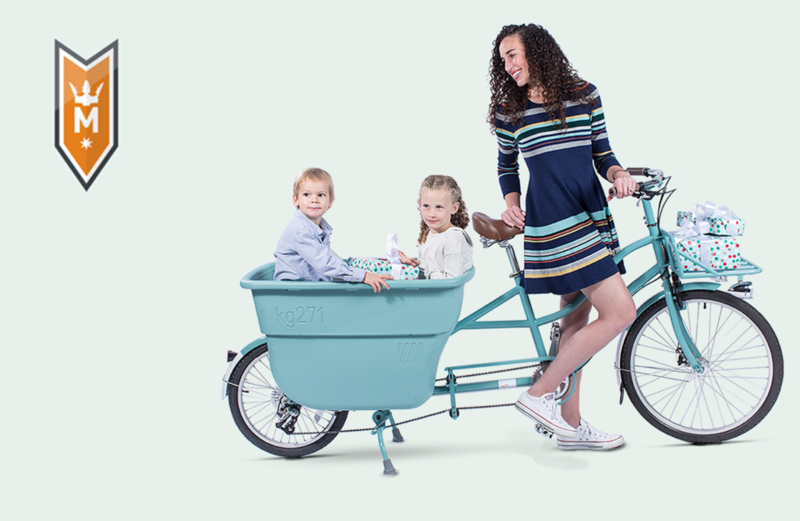 Utility cycling—using a bicycle to get to work and school and to run errands—Mathis concluded, can make a significant contribution to increased levels of physical activity and improving health. During the QforA with UDOT’s Marshall, I asked him how we might persuade UDOT to narrow lane width to 10’ from 12’ and mentioned that on University and 300 South we were able to get them down to 11’. He said he was impressed that we were able to get UDOT regional officials to agree to 11’ and see that as a significant accomplishment. The keynote speaker was urban designer and urban-mobility expert Mikeal Colville-Andersen, the founder and CEO of Copenhagenize Design Co. Team, which consults with cities on bicycle planning issues. He gave an extended and localized version of his fabulous TED talk, drawing on his experiences growing up in Calgary, living now in Copenhagen, and his observations of Utah. Here is a link to his TED talk and an interview with him the next day on KUER’s RadioWest. Definitely worth a listen!